Help Zoe launch her business! All funds raised will go to Zoe Burbridge, the organizer for Fleur Boston Business Launch. While having my own business was always a goal of mine, I unexpectedly had to start earlier than planned to help out my friend! This has been such a fun journey and there has already been so much love and support - however starting a business does not come without costs. I'm offering this t-shirt to you as a way to help support my small business while also getting something pretty special in return. Each sale of this Plant Something Good and Watch it Grow shirt directly helps my business grow and can help cover web hosting costs, business cards, marketing materials and more! If you're interested in learning more, please feel free to visit my website. So impressed with you! Love the shirts, love the brand, love your work! Because Zoe will succeed at anything she puts her mind and talent to. Zoe is a wonderful, hard working and inspiring person and we want to support her. You are my granddaughter. I will always support you. As owner/operator of 2 small businesses, I am proud to support my talented niece in her venture! 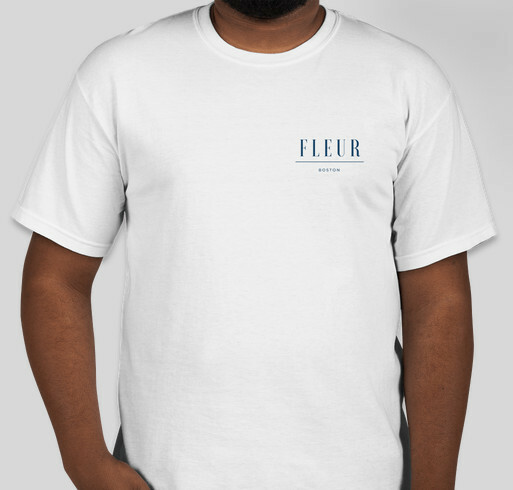 Share Why You Support "Fleur Boston Launch T-Shirt Fundraiser"